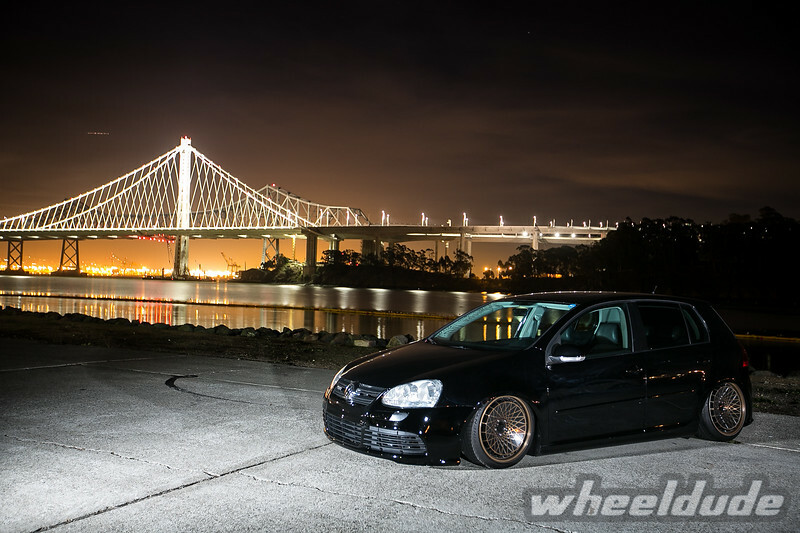 Available in both 18x9in and 18×9.5in the RM100 is a perfect upgrade for VW Golf owners, and one of the best examples we’ve seen so far is Michelle G’s MK5 over in the USA pictured here. Running airbag suspension and 215/40/18 tyres all round, Michelle’s MK5 looks properly mental both on the move and slammed! Aside from the 215 tyres on 18x9in wheels, no other arch modification has been necessary to fit the RM100s thanks to the +40 offset. The sports bronze finish looks perfect against the factory black bodywork, almost giving a hint of some classic JPS livery!